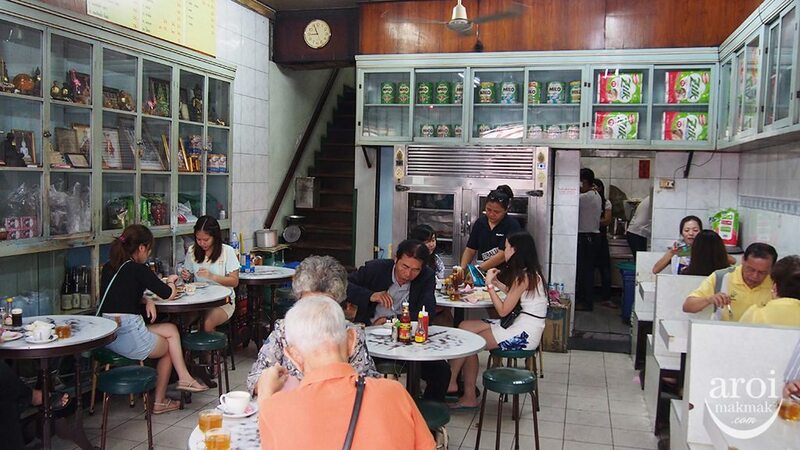 On Lok Yun, an old-school coffee-shop which has been around for close to 80 years, is gaining popularity among Singaporeans. 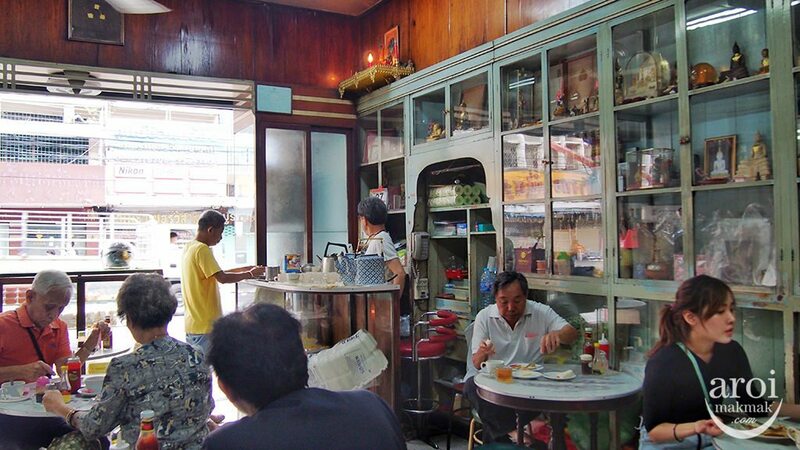 Everything here is so traditional, from the decor to the food. It seems like time has paused for a moment here. 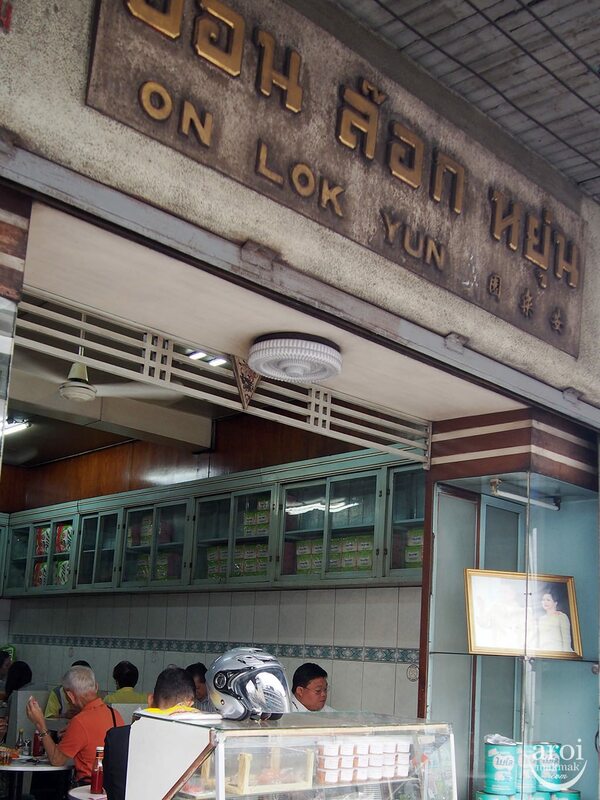 On Lok Yun is popular with locals who come here for some traditionally good breakfast: coffee and bread. 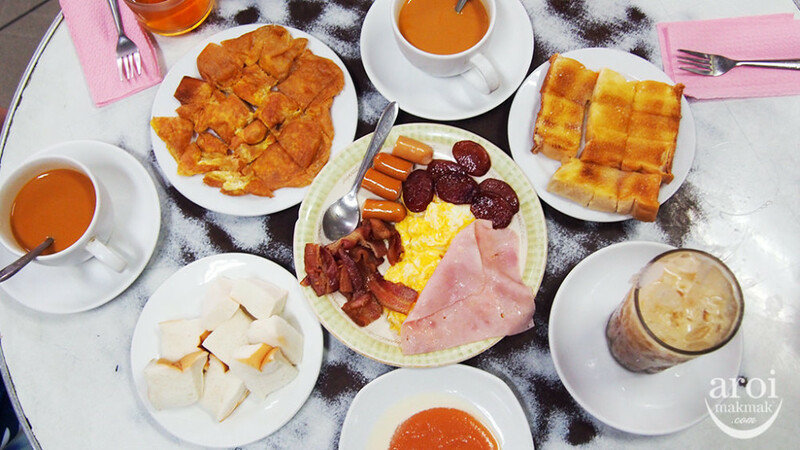 All Day Breakfast – Not exactly cheap for this (90฿) and it’s quite oily. 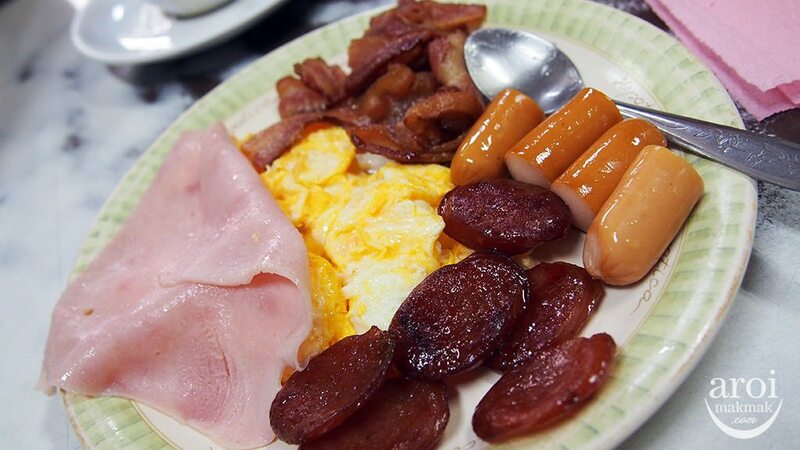 It includes egg, ham, sausage and chinese sausage. Good to try once but not something I would come back for. French Toast – Different from what we usually have but again I found it too oily. 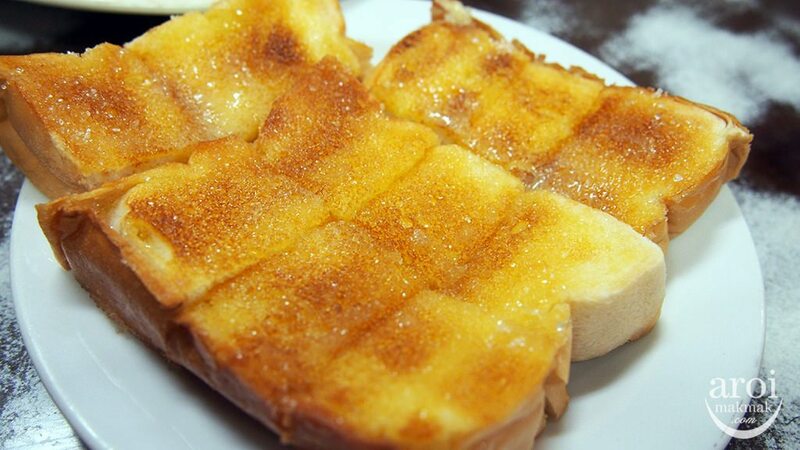 Bread with Butter and Sugar – I really wonder how the Thais make bread taste so good. This is a must order. The bread is crispy on the outside yet soft on the inside. 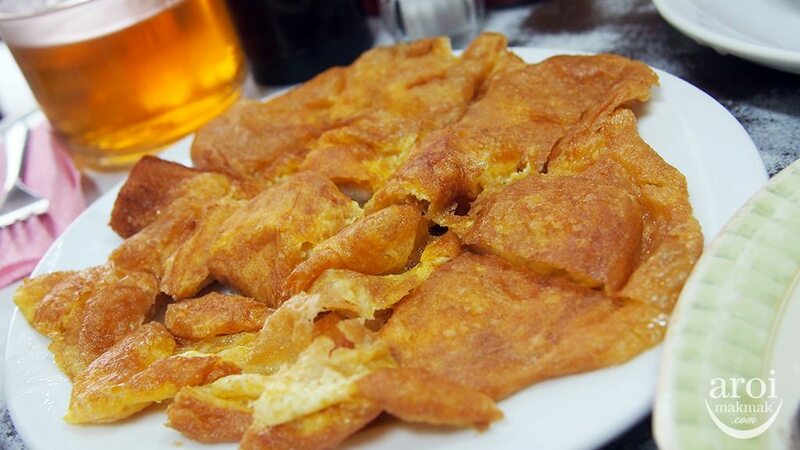 Egg Custard Bread (with Kaya) – If there’s only one thing to order here, this will be it! 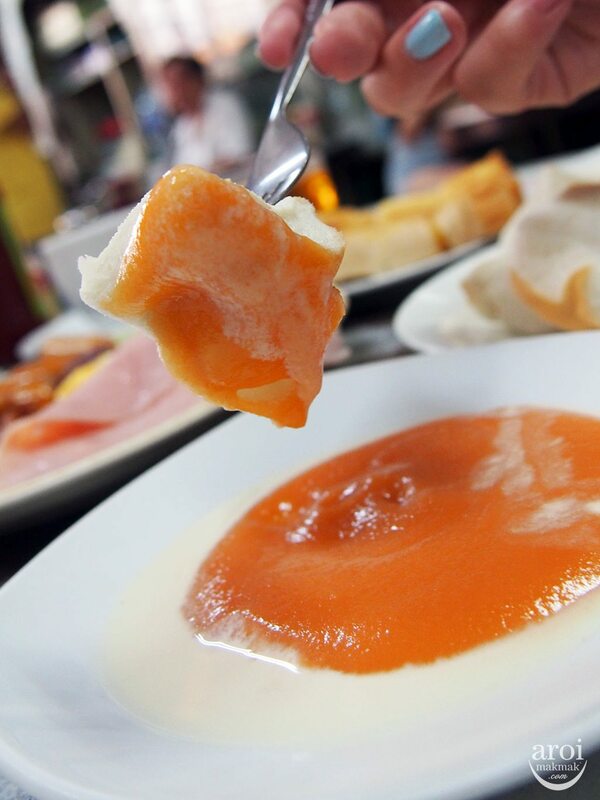 The soft white bread is dipped in kaya custard with evaporated milk. Oh my, so delicious! 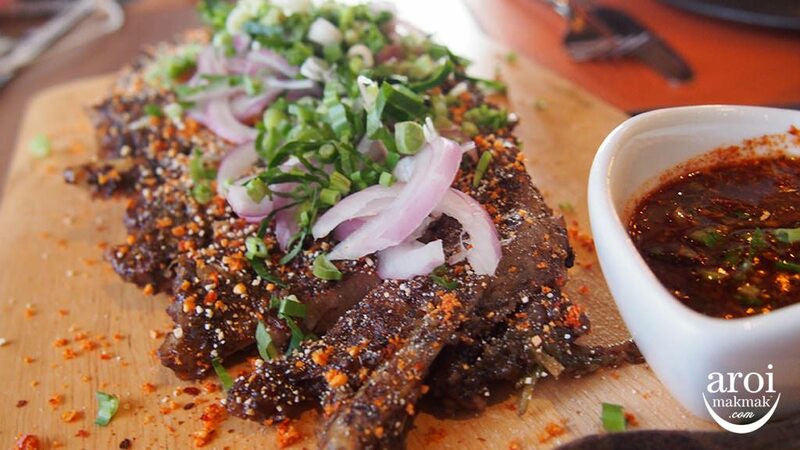 The kaya is so good that we wanted to bring it back to Singapore. However, we did not because it can only last for 2 days . 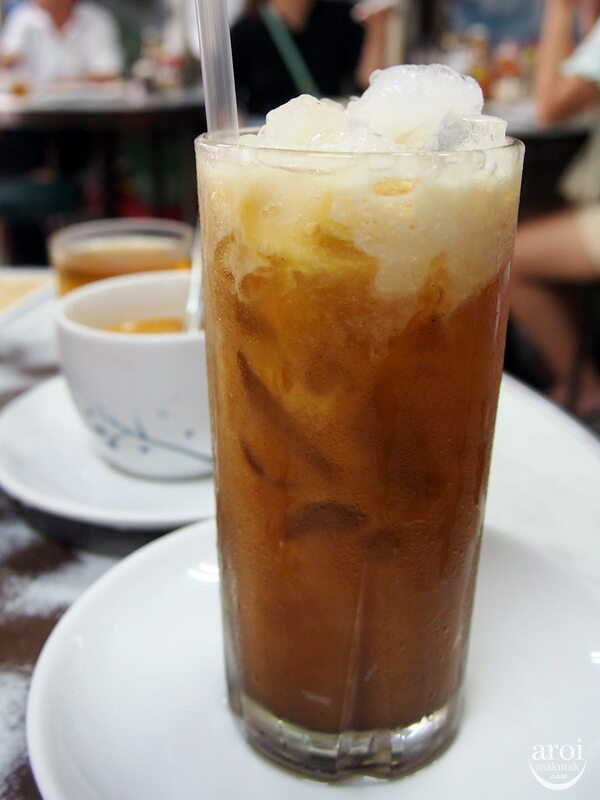 Thai Milk Tea! 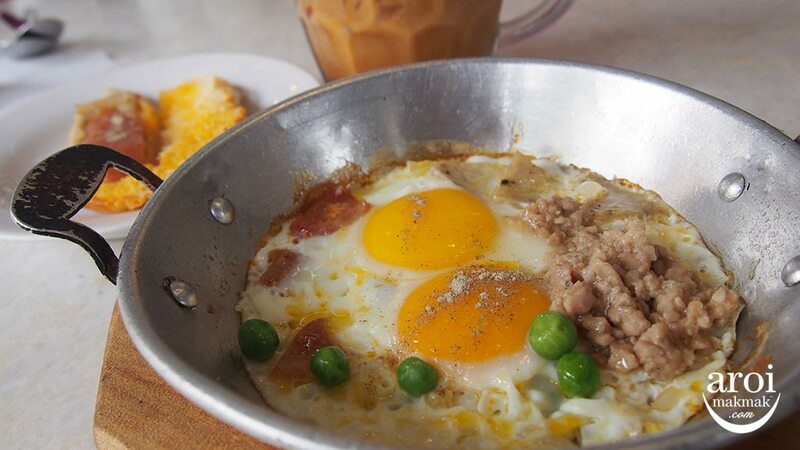 Since you are here for breakfast, why not try the hot milk tea. I prefer the hot milk tea here too. If you are searching for this place on Google Maps, I suggest you to key in “On Lok Yun” to get the correct location. Don’t trying typing the address in as it might point you to the wrong place. On Lok Yun is nearer to “Phra Nakhon” side, where you can find Grand Palace, Thipsamai Pad Thai and Khao San.